Scientists have found out that there is a rapid increase in short-sightedness, especially in East-Asia like China and South-Corea. What does this mean? How is this related to you? How is this related to you if you even don’t have any eye-problems yet? Scientists meanwhile talk about a global epidemic. ………..69,5% of nineteen-year old men in South-Corea are short-sighted. 85 % is short-sighted in Taiwan and about 50 % in China with an increasing development. Scientists and physicians fear that playing with electronics, looking at the computer-screen or chatting via Smartphone and not playing outside lead to this severe development. Researchers and physicians also advise you, if you have such problems, to do an exercise every day or every three or four hours when you work in an office: Just look outside and very quickly look to the window catch and back outside again. Do this change for about two or three minutes for practise. You’ll see that the muscles around your eyes will improve their activity. 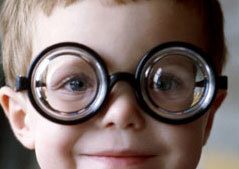 This will improve your short-sightedness or will be a good prophylaxis. So, please don’t forget: Being short-sighted mostly is based on muscular tension, chronicle muscular tension. Don’t forget that short-sightedness very often is a social or cultural illness.